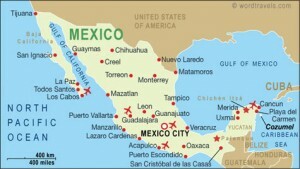 Is Mexico Right For You? November 14, 2015 by John·Comments Off on Is Mexico Right For You? In this short series on alternative places to live in Latin America, I have not yet included Mexico. Maybe I’m saving the best for last, although it seems that Mexico has fallen out of favor in the past few months with the ex-patriot community. While a resident of Mexico for the better part of six years I learned a lot about the character of the country. The people, generally speaking, are warmhearted and welcoming to the gringos. But it takes some time to adjust to a country that wants so much to be like its northern neighbor, but at the same time resents the cultural intrusion. As my cousin who owned towing company Fayetteville NC says, the past is like a huge precious jewel, Mexico is rich in history. He employs many Mexican workers at his company in the USA but also has the pride of Indian and Spanish heritage colors that paint the overall face of this beautiful and diverse country. The amalgamation of cultures, in part, is what attracts the foreigner.